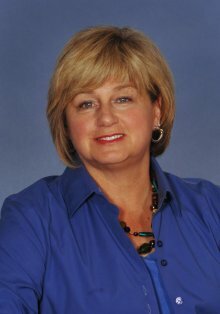 Susan W. Stralka, PT, DPT, MS, is a licensed physical therapist with many years of experience treating both musculoskeletal and neurovascular consequences of injury. She is a guest lecturer at The University of Tennessee Health Sciences Center in Memphis, Tennessee (UTHSC) and earned an Master’s Degree and a Doctorate in Physical Therapy from there. She has a strong clinical background in treating neurological and musculoskeletal consequences of injury. Susan has presented nationally and internationally in upper and lower extremity dysfunctions as well as pain management. Susan has written articles on a wide variety of topics related to physical therapy for many national publications and health journals. Her most recent publications are “Graded Motor Imagery” in the Journal of Hand Therapy 2011 and a chapter on "Thoracic Outlet Syndrome" in the book entitled Neck and Arm Pain Syndromes by Elsevier in 2011. Ms. Stralka is very active in the community with the Germantown Chamber of Commerce, Germantown Rotary Club and Girls Inc. as well as with many other civic organizations. She has held numerous state and national offices with the American Physical Therapy Association (APTA) and the Arthritis Association. In 2009, Susan was recognized by the Arthritis Association as Volunteer of the Year. With the goal of providing the best rehabilitative care to patients, Stralka continually recruits and supports innovative clinical programs to benefit future patients.